Morelia, San Luis Potosí, Aguascalientes, León and Tepatitlán were among the cities visited during the tour, which resulted in the training of a total of 460 travel agents to sell the Riviera Nayarit and Puerto Vallarta. The Bajío Tour undertaken by the Riviera Nayarit and the Puerto Vallarta convention and visitors bureaus during the month of March generated some great results. Morelia, San Luis Potosí, Aguascalientes, Leon and Tepatitlán were among the cities on the itinerary, during which 460 travel agents attended dynamic workshops where they were updated on the latest attractions in both destinations. Thirty hotels from both destinations were present during the tour, as well as eight tour operators and Aeroméxico, strengthening the promotion of the destinations with their services and contributing to the overall efforts of obtaining more hard sales and connections. Among the new activities used for these workshops were simple games that involved promotional material and exclusive packages with information about the destinations; the agents enjoyed themselves quite a bit and it gave the traditional training sessions an interesting twist. There were also giveaways including free stays at the hotels and other fun rewards for those who won the different games. 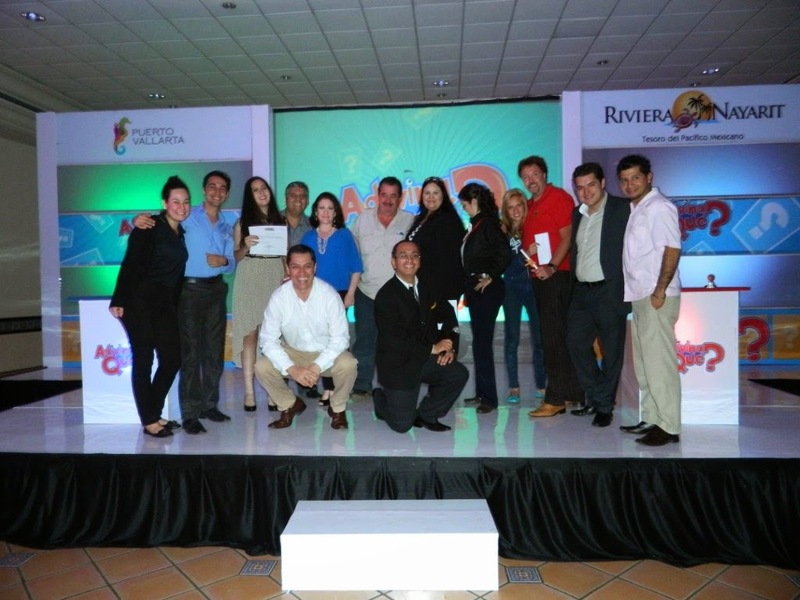 The Bajío Tour was a very successful promotional event and the CVBs expect excellent results. According to the 2013 Annual Poll conducted by the Riviera Nayarit CVB, the states where these cities are located send the highest number of visitors to the Riviera Nayarit. Holding strong in first place is Jalisco with 40%, followed by Guanajuato in second place at 17%, then Aguascalientes at 5%, Michoacán at 4% and San Luis Potosí at 3%. Another detail to take into consideration is the new flight recently begun by TAR airlines from Guadalajara to the Gustavo Díaz Ordaz International Airport in Puerto Vallarta, as the Mexican area of the bajío is connected via highway with the capital of Jalisco. Promotional events such as this serve to strengthen the captive domestic markets, which are a natural source of increased visitors to the Riviera Nayarit and Puerto Vallarta and thus benefit regional tourism.